At the Pebble Beach Nursery and Pre-School, we provide each child with a welcoming, healthy and stimulating environment, in which they will be made to feel safe and secure. We consider each child to be an individual. Children are encouraged to develop their creativity, individuality and self-confidence in a secure and well managed surrounding, led by highly qualified and motivated staff. Each child’s happiness is the Pebble Beach Nursery’s main priority. Our staff have many years’ worth of experience in looking after and educating children; the management and staff team can offer each child a happy, safe, secure and healthy journey, providing them with opportunities to think for themselves and to collaborate with their peers. We know your child will leave Pebble Beach Nursery and Pre-School with fond memories and vital skills in order to achieve and development on to the next stage of their schooling career. The nursery operates over three floors; the ground floor is separated in to two rooms. One room looks after our crawlers, the babies of our nursery. 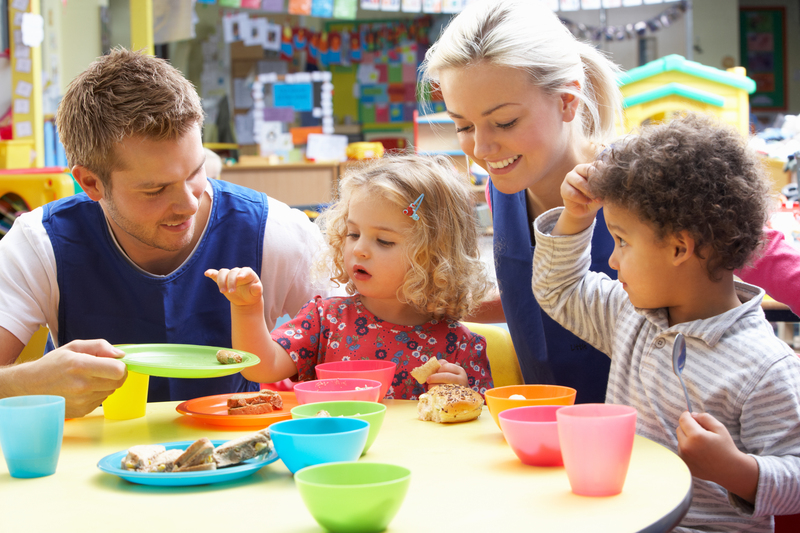 The other room looks after our toddlers; in this room the children begin the important step to independence, by serving themselves at lunch, tidying up after themselves and beginning their toilet training. The 1st floor houses our pre-school and school leavers. Here the children continue their path to independence. Both rooms have access to their own bathrooms and have extensive resources which enables each child to get ready for school. On our 2nd floor we have our large office, staff room and confidential meeting room. Browse through our gallery to see what our nursery looks like.